The majority of neurodegenerative diseases are associated with excessive glutamatergic transmission, oxidative stress and/or inflammatory changes that lead to activation of the apoptotic cascade and subsequent neuronal demise. Cannabinoids have been demonstrated to confer neuroprotection both in vitro and in a number of in vivo paradigms of neurodegeneration including cerebral ischemia, hypoxia, seizures and experimental autoimmune encephalitis. 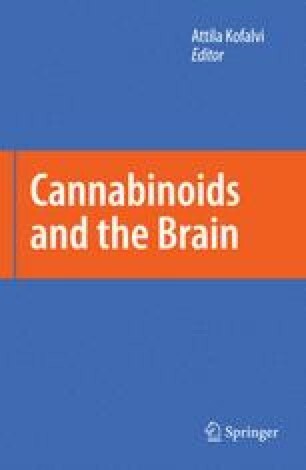 The molecular mechanisms underlying cannabinoid-mediated protection involve both CB1 receptor-dependent and receptor-independent events. Anti-oxidant activities and the proclivity to reduce excessive glutamatergic synaptic activity underlie some of the neuroprotective effects of cannabinoids. The attenuation of pro-inflammatory signalling coupled with an induction of pro-survival growth factors and enhanced mitogen-activated protein kinase (MAPK) and phosphatidylinositol 3-kinase (PI3K) activities have also been implicated in the ability of exogenous and endogenous cannabinoids to provide neuroprotection.